Buying a house may very well be one of the biggest decisions you will ever make. The reality is that such an expensive investment will make it tempting for you to try a little DIY repair in various aspects in order to try and save some money. Well, actually, these systems are a lot more complicated than what you may think. Just like you would take your car to a mechanic or call a plumber for a leaky pipe, when it comes to your garage door and its various parts, a professional is often required. Your door operates under a great deal of tension and stress, and you could get seriously injured if you don't know exactly what you're doing. 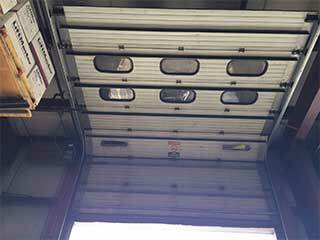 The squeaky little noises that your door makes when it opens and closes could be simply dirt and debris that got stuck in the tracks. Maybe a quick clean-up will take care of the problem. But don't ignore the potential seriousness of these noises if they persist. A noisy door can be a symptom of a much larger problem such as a spring that's about to break – this can be incredibly dangerous, so you need to have a professional inspect things as soon as possible. If one of your extension springs breaks, it might seem like a good idea to save yourself some money and only replace the damaged one. However, you should really get both replaced, as any respected technician will tell you. These springs were installed at the same time, and therefore they went through the same amount of wear and tear, and the second one is likely to quickly follow suit and break as well. This one isn't a myth, it's a cold hard fact. For the most part, your door will operate without any real cause for concern, but when things go wrong they can do so without warning and it will be dangerous for an untrained person to handle most types of problems. Stay safe and contact our experts at Garage Door Repair Gresham whenever something appears to be out of the ordinary.